Laurinburg-Maxton Airport is a Military Training space, for both ground and air, with a drop zone. We welcome and support military training, and are the main support for the 82nd Airborne Division. As the home of the US Army Golden Knights, we welcome public viewing. Plan a trip to come see us in action. 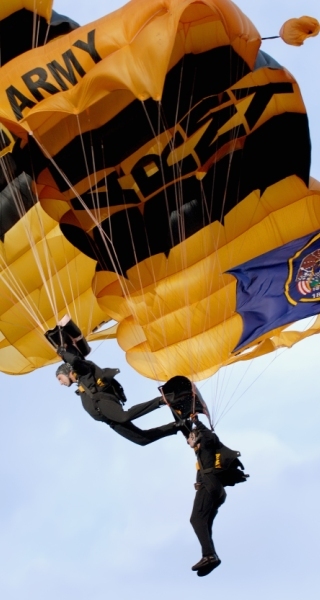 The Golden Knights Parachute Team jumps every day weather permitting. Scotland Aero Services is a goverment/DoD contractor supplying jet fuel for fixed-wing aircraft and rotorcraft.